Originally published in 1967, Pa-Kua was the West’s first look into the esoteric Chinese martial arts. It has been a valued and sought after text ever since. It was put out of print in the 1970’s, but since that time interest in the martial arts have continued to skyrocket. 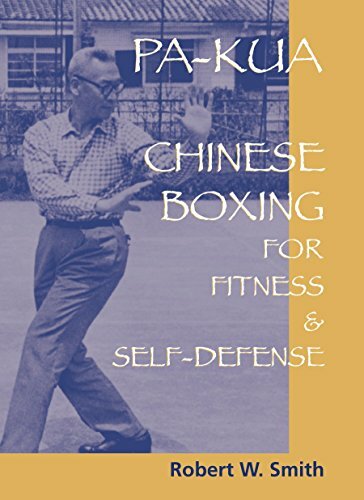 Pa-Kua gives an introduction to the little known mystical martial art from China, Pa Kua Chang (also known as Ba Gua Zhang), translated as "Eight Trigram Boxing." Smith describes its history, profiles its great practitioners and gives a series of unique exercises, illustrating the solo practice and their fighting applications. Robert W. Smith is one of America's great pioneers in the Asian martial arts and has written numerous books and articles on theses ancient fighting traditions. Smith is the author of Chinese Boxing: Masters and Methods, also available from North Atlantic Books. He lives in Hendersonville, North Carolina. Publicado por North Atlantic Books,U.S.